All sections of the site was apdeted in Oct 2016. Hello freefliers! 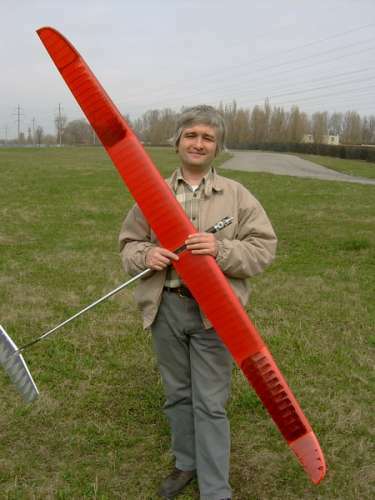 My name is Sergei Vorvihvost, during last 25 years I build and fly F1C models. In 1996 I was a member of Ukranian F1C team on Europian Champ in Italy. From 2000 I build F1J models. All my experience I put in this models, you can see it on many competitions. When F1P models begin fly in junior contests I begin to build it. Now I work under F1Q models, new and very interesting class of fre flight models. Many years you can buy my models from different sellers, but now you can buy it from the first hand, without middleman. Buy with confidence on a good price!